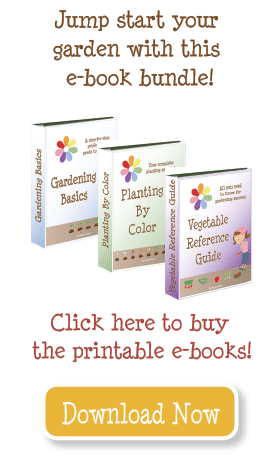 I’ve found a couple of great resources for building square foot gardens. Here are the price breakdowns, done as “apples to apples” as I could! Homegardenstogo.com provides delivery and setup in parts of Utah, or will ship to you (prices not included above). Squarefootgardening.com provides local pickup in parts of Utah, or will ship to you (prices not included above). The prices WITH SOIL assume you make your own Mel’s mix for $2 per cubic foot. Mel’s mix is available to order from the website. It costs $9.99 per 2 cu ft bag, local pickup only. Homemade w/Home Depot is totally do it yourself! The prices include garden box materials from Home Depot, grids ordered from Homegardenstogo.com ($12), weed mat ordered from Squarefootgardening.com ($.50 per foot), home made Mel’s mix ($2/cu ft). Please note, these prices are for making one box, but the cost will go down if you can purchase the materials in quantity and avoid waste. This project requires tools not everyone would have, and could be done by someone with intermediate building skills. Kareelanegardens.com is another site–I have not purchased from them or included their prices here, but you may want to visit before you buy! Squarefootgardening.com provides local pickup in parts of Utah, or will ship to you (prices not included above). The prices WITH SOIL assume you make your own Mel’s mix for $2 per cubic foot. Mel’s mix is available to order from the website. It costs $9.99 per 2 cu ft bag, local pickup only. The site also offers square foot garden boxes in several other types of wood. Homemade w/Home Depot is totally do it yourself! The prices include wood from Home Depot, weed mat ordered from Squarefootgardening.com ($.50 per foot), home made Mel’s mix ($2/cu ft). This price includes $10 for brackets (optional), stain (optional), screws (you may have), and nylon kite string (you may have). It could cost more if you had to purchase every item, or less if you already have or choose not to use an item. I used the cheapest wood available, but Home Depot carries other types of wood that would work well. This project requires tools that most people would have (drill), and could be tackled by someone with minimal building skills. There is an update to this post with additional resources. Will Gardening Save Me Money? Total for this is $168.25 for 5 single boxes at $33.65 per box or $67.30 for 2 double sided boxes and $33.65 for 1single sided box. I did not include soil or weed barrier cloth yet. How did I do? Jherri–I don’t have personal experience, but cinder blocks will absolutely work. Best of luck! Do you have any experience with building a raised bed from cinder blocks. The ones I am looking at are 8H x 8D x16L. It will come out to be 4’x4’x8″…will that be deep enough. Gerry–some will complain about the environmental impact of the PVC in vinyl. I think the white vinyl looks the best, and is nearly maintenance free. From a sturdiness point of view, the Easy Garden Box can’t be beat, and they are a little taller. I just wish they would offer something other than “cammo” (I think it’s supposed to look like stone). During the winter you might “decorate” with something like these Copper Daisy Flowers. Maybe even there’s a shop or art class that could work with the kids to make their own?! I would like to set up a square foot garden (actually – from 6 to 9 beds) at a middle school. I want it to look very presentable during the winter as well as the summer because anyone visiting the school or picking up students will see it. Is is safe to use the vinyl fencing type of enclosure? It would be look very nice but I don’t want to use it if anyone knows of a reason why I shouldn’t. We will be growing vegetables and herbs as well as flowers. I don’t really want to do wood because of the maintenance involved. Sam’s club has very affordable kits but I don’t know what is in the material. It isn’t as tall as I’d like, nor does it look anywhere as nice as the white vinyl. The rule of thumb is to NOT use pressure treated wood. I am thinking particle board is treated, and may include glue and chemicals to hold it together. I also think it would likely fall apart as it is moist from the garden. I have space for 4 sqf garden boxes. 3 boxes that are 2′ x 4′ and one box that is – 2′ x 3′. I have a lot of scrap particle board (ply wood) left over in my garage from building and I am wondering if I can use that type of wood to build my boxes. It is .5″ thick and 8″ wide and I have plenty of length. I am just worried that type of wood will be damaging to the garden or won’t work. Any advice would be appreciated. Thanks! I’ll add this to my post, the more options, the better! You should check out Kareelanegardens.com. Their prices are by far the most reasonable I’ve found! Lee Valley sells Trellis Netting. $9.50 USD or $10.50 CAD. Love your website! Thanks for sharing! It looks great! What did you use to connect the conduit? We made the trellis out of 10 ft conduit pipe. I’ve found it at the Home Depot. It’s about $4 for a 4×8 piece of it, but that can almost do 2 trellises. I will say, sometimes it’s there, sometimes it’s not. I usually find it outdoors hanging near tomato support items. Can you get nylon netting anywhere locally? I’ve never seen it at stores? Thanks for posting! I’m glad to have another idea of where to get them and the price. To compare it “apples to apples,” you would need to add $35.98 for grids (two of them), $4 for weed mat (8 feet), and $48 for Mel’s Mix (24 cubic feet). Total would be around $224. Another option is to have a vinyl fence company do it for you. I ordered 3 4×8 vinyl boxes (11 inches high- 2 stacked rails). Each box was $136.00 because I ordered 3.